The Boston Marathon is an annual race hosted by several cities in Greater Boston in eastern Massachusetts. It is always held on Patriot’s day, the third Monday of April. 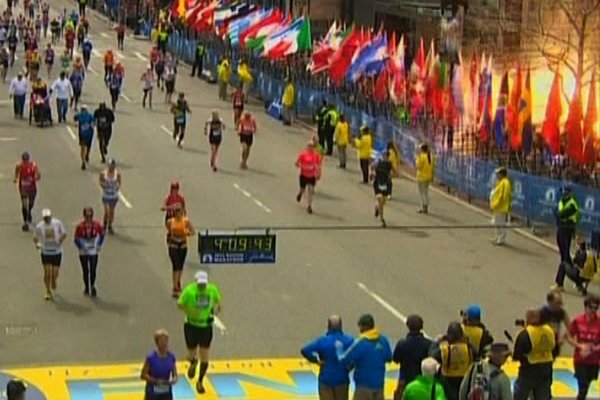 It started in 1897, inspired by the success of the first modern-day marathon competition in the 1896 Olympics, the Boston Marathon is the world’s oldest annual marathon, and ranks as one of the world’s best-known road racing events. Since 1897, the Boston Athletic Association (B.A.A.) has organized this event. 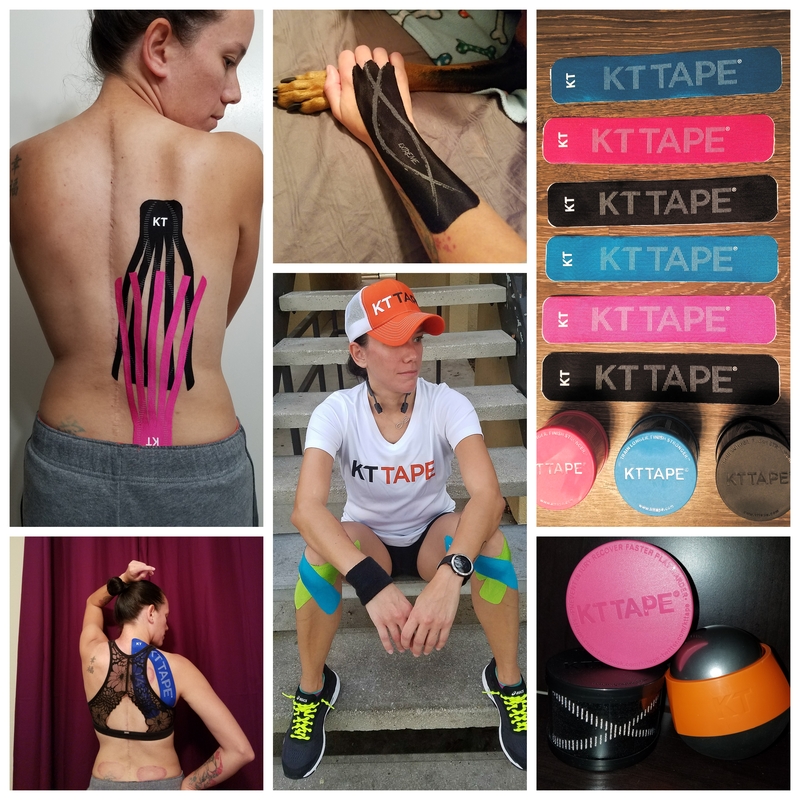 Runners from all over the world compete in the Boston Marathon each year, braving the terrain and the weather. The event attracts 500,000 spectators each year, making it New England’s most widely viewed sporting event. Though starting with 18 participants in 1897, the event now attracts an average of about 20,000 registered participants each year. The Centennial Boston Marathon in 1996 established a record as the world’s largest marathon with 38,708 entrants, 36,748 starters, and 35,868 finishers. 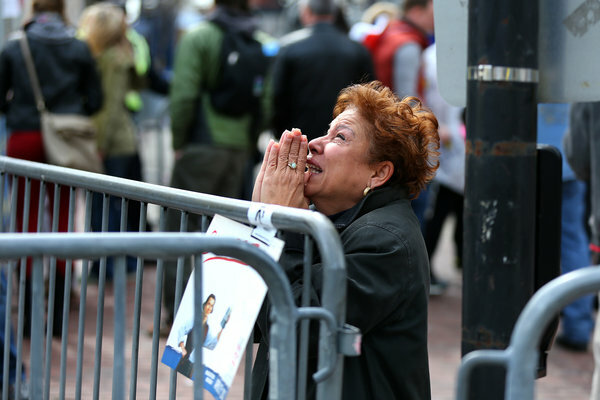 BOSTON-Two powerful bombs exploded near the finish line of the Boston Marathon on Monday afternoon, killing three people, including an 8-year-old child, and injuring more than 100, as one of this city’s most cherished rites of spring was transformed from a scene of cheers and sweaty triumph to one of screams and carnage. 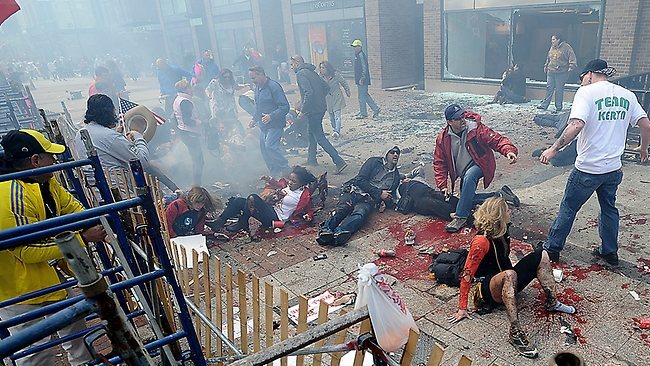 A pair of blasts at the Boston Marathon on Monday left three people dead, including a child, and at least 100 more injured. President Obama, speaking at the White House, vowed to bring those responsible for the blasts to justice. “We will get to the bottom of this,” the president said. “We will find who did this, and we will find out why they did this. Any responsible individuals, any responsible groups will feel the full weight of justice.Story by NY Times, for more on this go to NYTimes. This is a horrible devastating thing that has happened. 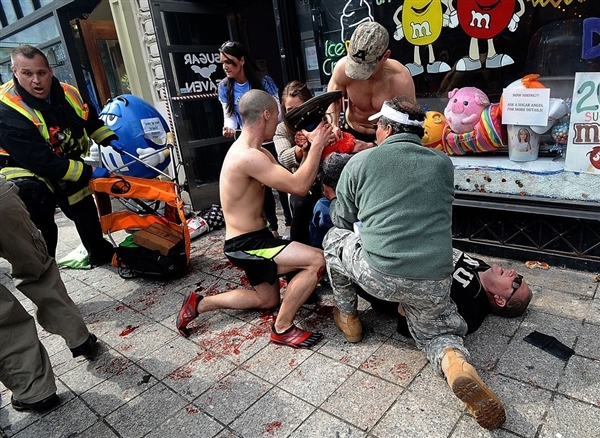 Witnesses report seeing a “bloody mess” and missing limbs, and panic. But one thing I personally noticed in the news, reports, and videos was the amount of heroism involved. EVERYONE jumped to action. Policemen, firemen, EMTs, and even spectators and marathoners running out of the course to jump over the barriers and help those needing medical attention. There was an INCREDIBLE amount of people willing to help one another. Who ever caused this blast to try and break us as Americans, it only continues to prove how we stand up together and support one another in times of need. This has been a heart breaking tragedy that shouldn’t have happened. This has hit, not only running community, but America, hard. We all need to stick together and not let this horrific blast cast a dark cloud over us. 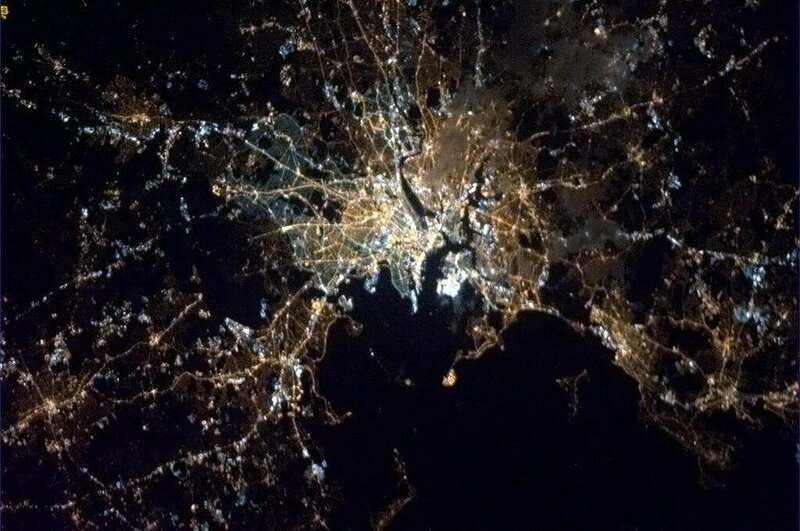 Canadian astronaut Chris Hadfield passed along this picture of Boston at night, as seen from the International Space Station, in recognition of the city’s tragedy. 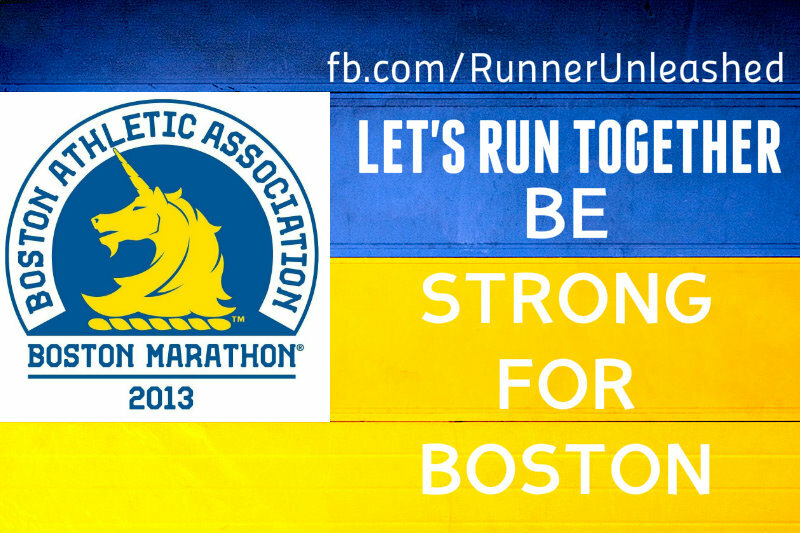 As a runner I pledge to unite with runners all over the U.S. and run for Boston today. I will wear a past race shirt in honor of those affected by the tragedy. I will also pledge my first 4.09 miles of my run to Boston as well, since that was the time on the Marathon clock when the first bomb went off at the finish line. Pass this along, join my facebook page Runner Unleashed and post your pictures in support of this movement among the runner world. 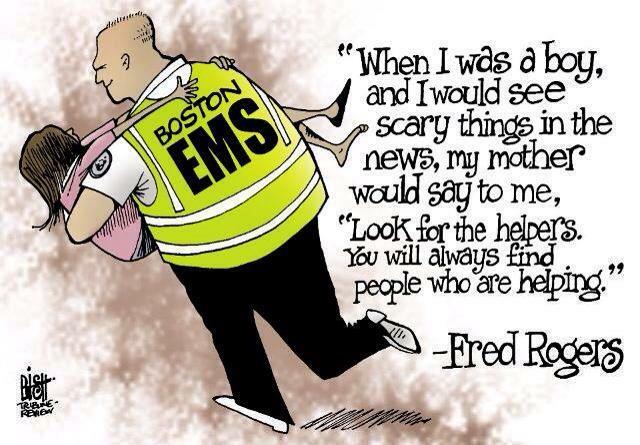 Show your support and prayers for everyone in Boston, suffering in pain, missing a limb, and missing family members. 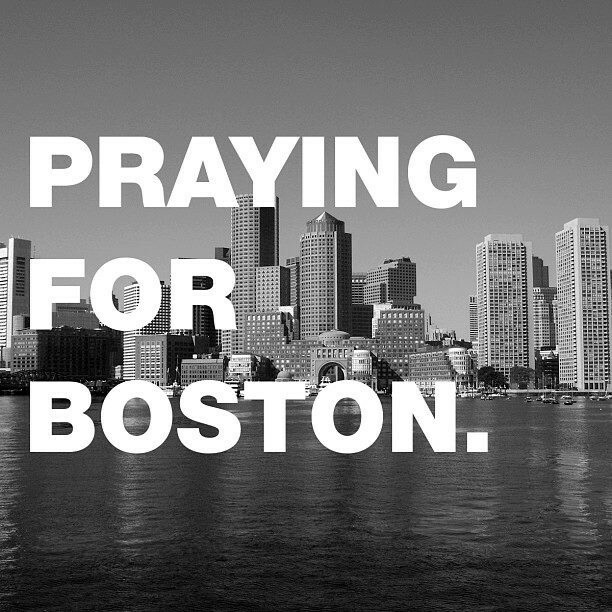 We are doing this for you BOSTON!